This is a list of E-books I have written and uploaded for the Kindle at Amazon. 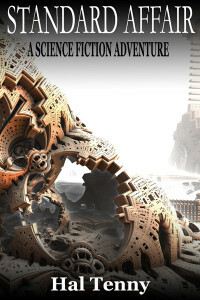 I write mostly easy reading science fiction, which is to say it is not hard sci-fi. Everyone likes details but I don’t get bogged down with them. They do have a lot of humor and action filled adventures with unusual situations and conversations that take the place of meandering details. 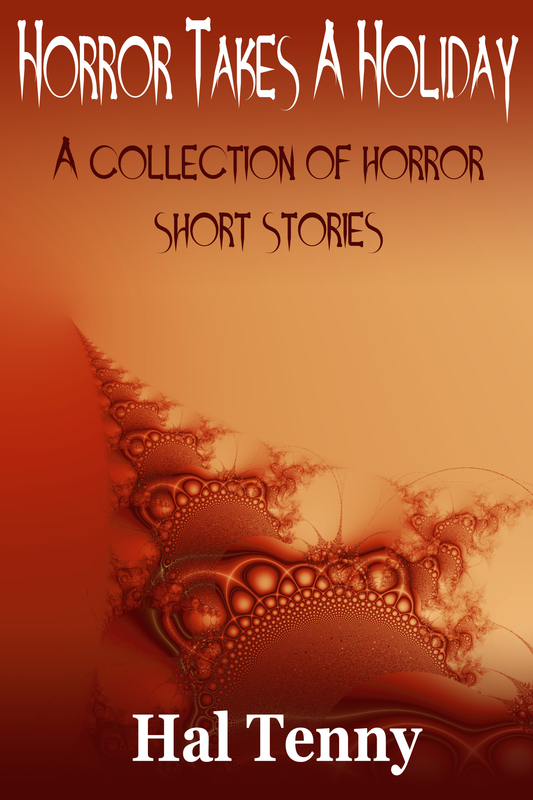 I also recently released a collection of 22 horror short stories. Below are the covers and descriptions of each title with links for purchase from Amazon. I hope you enjoy my sarcastic wit and humor. 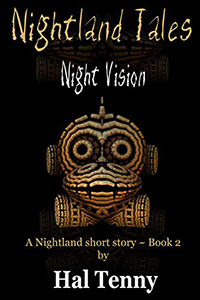 Night Vision (A Nightland short story Book 2) “Nightland Tales: Night Vision” is the second book in the “Nightland Tales” series of short stories. “Night Vision” is a humorous, supernatural horror short story (14,700 word ~ estimated 45 pages) that focuses less on the ‘monster’, and more on how some people deal with the unexplained. James Dandy, an aspiring film maker, accidentally films a hideous creature devouring a corpse. While Detective Sam Faust is unconvinced the film is genuine, he was required to follow up on the unbelievable report. Dragging a reluctant James along — who was utterly convinced they were both going to die just like in a bad monster movie script— they went to investigate. Even though the Detective seemed fully prepared to handle just about anything dangerous that might come their way, everything that could possibly go wrong, does, just like in the movies as James had insisted would happen. But does every one die in the end? This story contains adult language and humor. 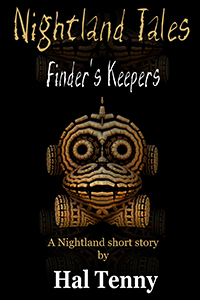 Finder’s Keepers (A Nightland short story Book 1) Nightland Tales: Finder’s Keepers is book one of the new Nightland short story series. Finder’s Keepers is a supernatural horror short about what happens when time catches up to three men and their previous good intentions begin to unravel. Bently Finder was the owner of Finder’s Keepers — a combined hardware store and salvage yard — but Lonnie Johnson was the real finder that brought in all the curious items with age old impressions attached to them. When people pass from this world, they often leave their own imprint on personal objects left behind. Fred Gissing was the magician and keeper, tasked with keeping all the dangerous items safely hidden away. Now all three of them are old men. Fred’s magic had weakened to the point where the things hidden away for all those years began to surface, and something had to be done about it. Bently’s grandson Charles now operated Finder’s Keepers. He was never made aware of the three friends secret agenda, and also the one that unwittingly unleashed the evil that would bring them all together one last time. 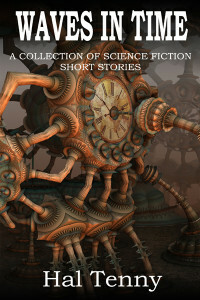 Also included is one bonus short story, “Head Start” from “Waves In Time: A collection of science fiction short stories”. 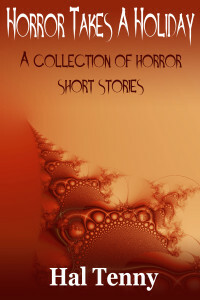 As the horror title suggests, several of these stories mix humor within the tales while still exploring the horror element. Stories like ‘Two Cooks Two Cops’, where the detectives investigate a gristly double homicide while discussing their culinary favorites. And ‘Mr. Neat’, where the end might be considered tragic but you are still able to smile about it. A practical joke in ‘Darker Than Dark’ takes an unexpected twist, and in “Just The Two Of Us’, you’ll find that revenge is indeed sweet. “Family Roots’, ‘The Last Door’ and ‘Ladder Of Bones’ are more serious in nature and touch on the supernatural or unexplainable things that would make one question reality. A forgotten instrument of revenge comes back to life in ‘The Bat’ and in ‘Changing Seasons’ you find that it is always good to be prepared for the worse. Standard Affair: A science fiction adventure is an adventure that takes you away from earth and gives you your first taste of contact with advanced alien races. A morsel that may just leave a bad taste in your mouth. 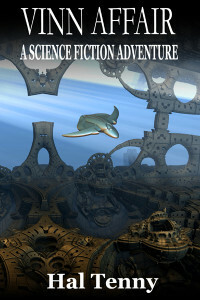 Owen Ricks, a retired military officer, is unwillingly thrust into the role of ambassador of earth when he hitches a ride on a disabled space craft that he helps repair. Though he is an uninvited guest, his training proves useful and the captain of the ship enlists his help as a bounty hunter of a different kind than what you might expect. It doesn’t take Owen long to realize that the Captain Lea is being less than honest with him. While constantly being reminded by her that earth humans are backwards and uncivilized, Owen sees it differently and has to learn how to deal with aliens that can be just as devious and cruel as earth humans. Standard Affair is a quick romp across the galaxy that’s mixed with humor, friendship, love and tragedy, all leading to a page turning, action filled battle for survival in the end. 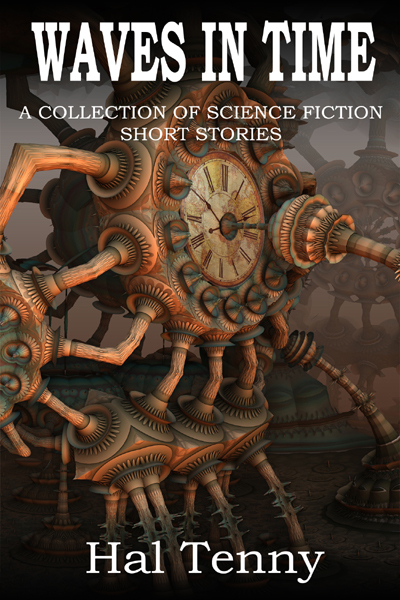 Also included at the end of Standard Affair are two short stories from Waves In Time: A collection of science fiction short stories. 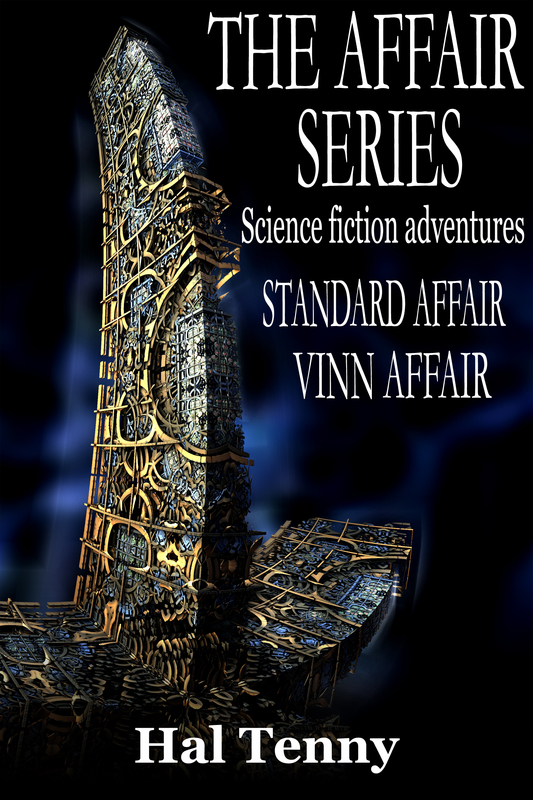 Vinn Affair: A science fiction adventure is about the further adventures of Captain Lea, a beautiful alien woman, and Owen Ricks, the earth man that stowed away on her ship. They are now partners as galactic bounty hunters. Once again Owen works his magic in various bounty hunts using his knack for making things happen, even under the most unusual and often dangerous circumstances. After clearing their names from previous trouble by visiting the COR home world and presenting evidence of their innocence, they go on about their business, hopefully putting the past behind them. But it was not to be. The criminal Vance Vinn, former head administrator of service world Guthrie makes his escape from Sumar and sets a plan in motion to take revenge on them. Meanwhile Owen learns of new information that might unite Lea with another (unknown to her) grand daughter from Cain’s pirate ship. He hesitates to let Lea know too much in fear that things will take a turn for the worse, and of course they do. Follow Lea and Owen across the galaxy as they bounty hunt everything from dragon eggs to love potions, cures for afflicted giants and a one of a kind robot from a deserted world. See how they learn to live with each other having come from different cultures and levels of technology. And eventually how they make out against the vicious, revenge seeking Vance Vinn. 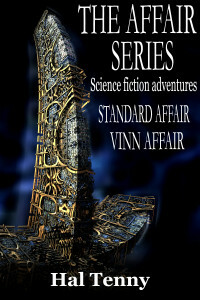 The Affair Series: Science fiction adventures is a combination of two complete novels, the first being Standard Affair: A science fiction adventure, and the second, Vinn Affair: A science fiction adventure. These are easy reading, soft science fiction stories that focus more on dialog with sarcastic whit and humor and less on descriptive world building. It doesn’t take Owen long to realize that Captain Lea is being less than honest with him. While constantly being reminded by her that earth humans are backwards and uncivilized, Owen sees it differently and has to learn how to deal with aliens that can be just as devious and cruel as earth humans. 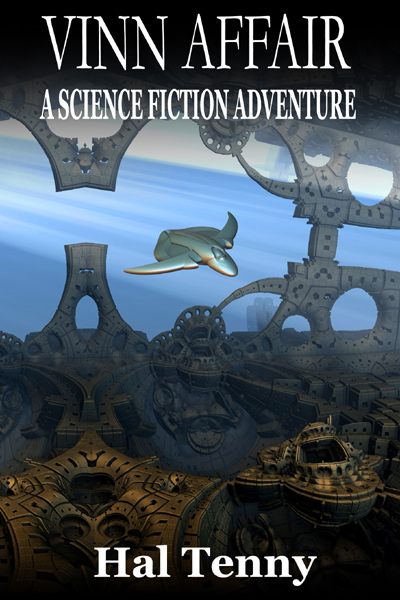 Waves In Time: A collection of science fiction short stories is a collection of unrelated short stories, other than them all being science fiction. This collection isn’t so much about the subject of time itself. It’s more of a journey through different points of time. From the pre mankind era on earth in “Second Chance” to the wild west in “A Week From Sundown” and “Some Kind Of Monster Thing” and on to “Coming For You” and” “Shortcut To Farside” which take place in the future. Some of the stories cover issues we deal with in our everyday lives. “Coming For You” explores a lighter look at the single minded determination with which we kill each other in war and what we might put ourselves through to accomplish it. The sometimes hilarious “Shortcut To Farside” touches on the same single mindedness with which we might pursue love. “Almost Immortal” is a comical look at technology that goes wrong but ultimately leads to something better. “Head Start” looks at how two detectives handle a very unusual investigation in the same way they normally would only to find that nothing is as it seems. The story “Avenging Adel” shifts to more of a fantasy style of tale with spells of magic and demons. A tale where the hunter suffers a crushing loss that changes his normal everyday job of demon hunting into something of a much more personal nature. Many of the works in this collection contain humorous situations and dialog. “Reality Of Illusion” has no dialog and leans towards a darker look at how someone refuses to accept their current situation and rebels against it. “The Cost Of Progress” is a quick look at how dangerous advanced and untested technology can be. Overall, this is not a collection of hard science fiction stories. It’s more a handful of quick, easy reading short stories that present the science fiction with my own brand of twisted humor and the use of somewhat sarcastic characters to achieve that humor with. Mason Dixon in “The Mason Line” is one of those characters. He’s a tracker who’s unwillingly pulled out of retirement to find the runner that’s killing all his friends, only to be told that the runner was also one of those old friends, and a past lover as well. Constantly being told that he was just a glorified killer and no longer the best at what he did, he set out to prove them all wrong. 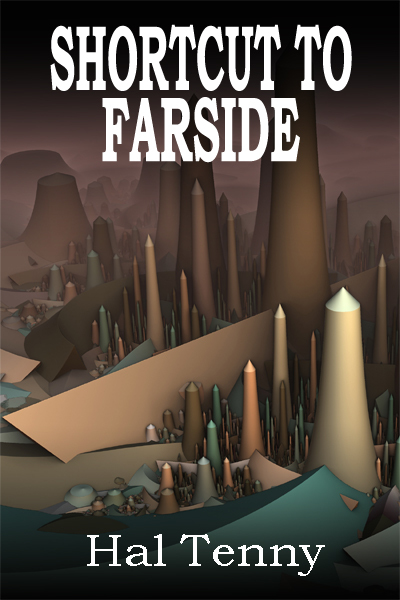 Shortcut To Farside is a hilarious science fiction short story about a man willing to go to any lengths to be kept at the top of his girlfriend’s short list of suitors. He concocts a death defying plan to cross the galaxy in order to arrive at her party on time, but everything that can go wrong, does. From getting speeding tickets from the space patrol to being sited for no suicide permit to saving himself with vice grips and duct tape, he does it all. But does he get the girl? 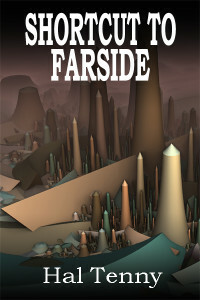 Check out Shortcut To Farside and you’ll find out!